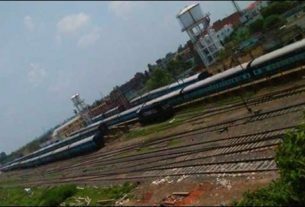 After the make over of the Madhubani Station of Bihar , now , its the time of town ! The district administration of Madhubani is initiating mithila painting to be carried out on government buildings and important landmarks. The paintings are being done on a two and half kilometre stretch between Nidhi Chowk (the entrance point of the city) to station Chowk (the central part of the city) . 300 artists are engaged in this work who are willingly contributing for these paintings.The aim is that if anybody comes to the town then Madhubani paintings would seem to welcome him. The district administration is providing colour and painting materials for the work. ‘It is satisfying to contribute my skills for a good cause’, said an artist involved in the work.They are ,however, paid an amount of Rs 300 per day for their charity work. ‘It takes at least 7-days to complete a wall’, quoted an artist . 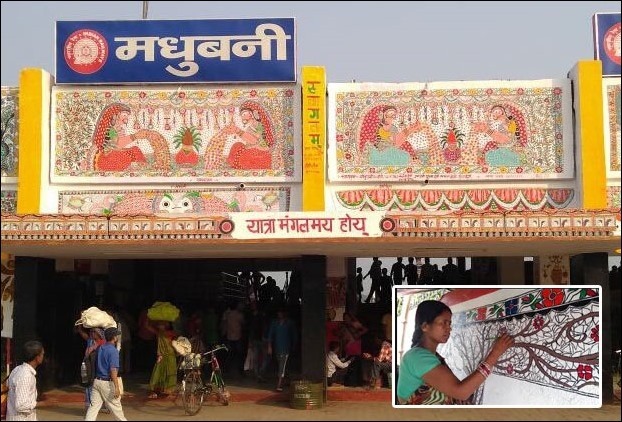 The initiate to paint Madhubani town in Mithila Art was started 15 days ago.Till now it has been completed from Nidhi Chowk to Parisadan. A total of 20 paintings have been made on different subjects across walls. After this , paintings will be made till station Chowk. 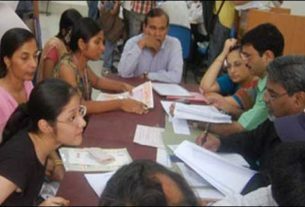 LNMU declares the result of BEd CET 2016,Check ! 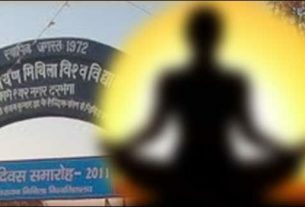 क्या था मिथिला की रहस्यमय प्राचीन नगरी बलिराज गढ़ में ! गायन की एक परंपरा जिसका विकास हुआ था दरभंगा में !